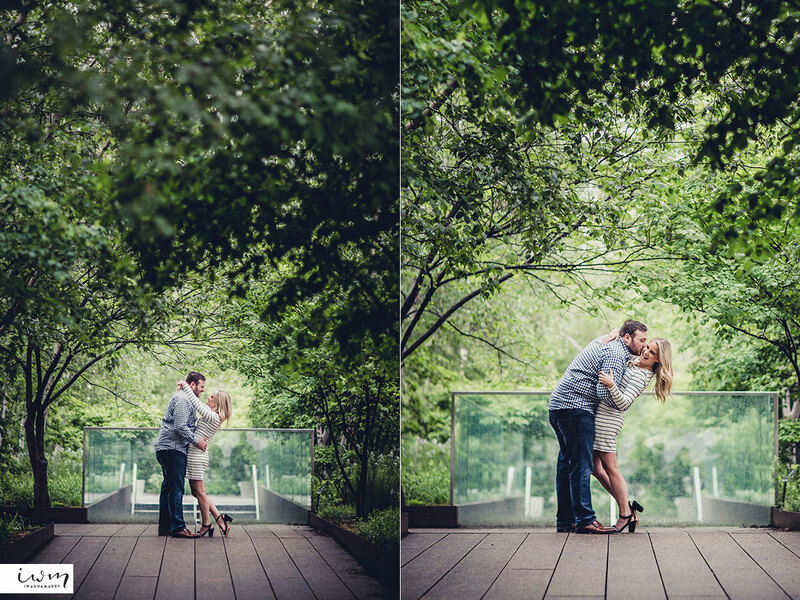 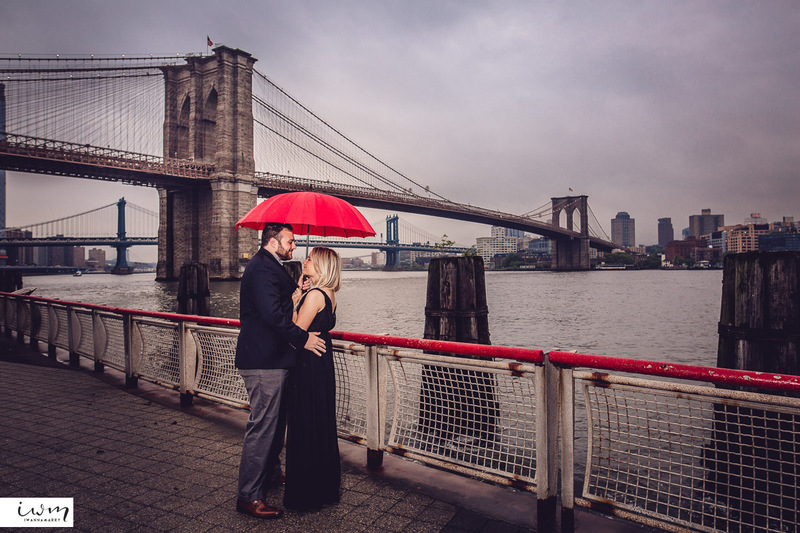 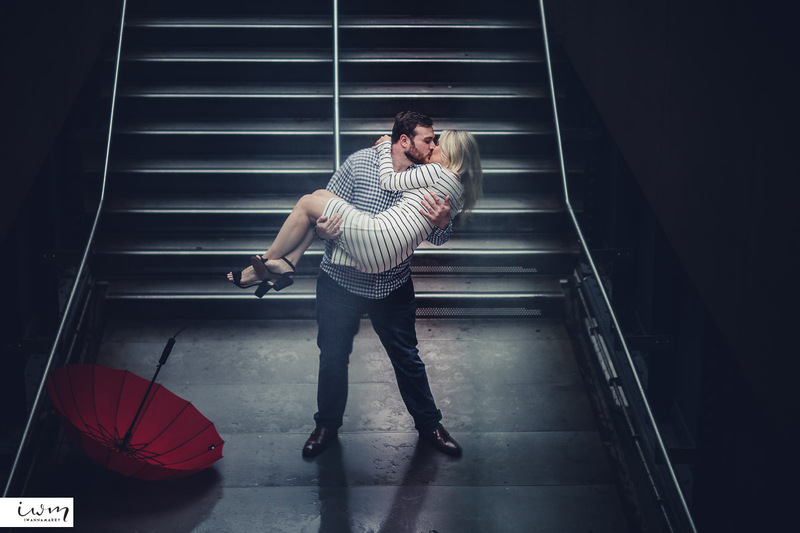 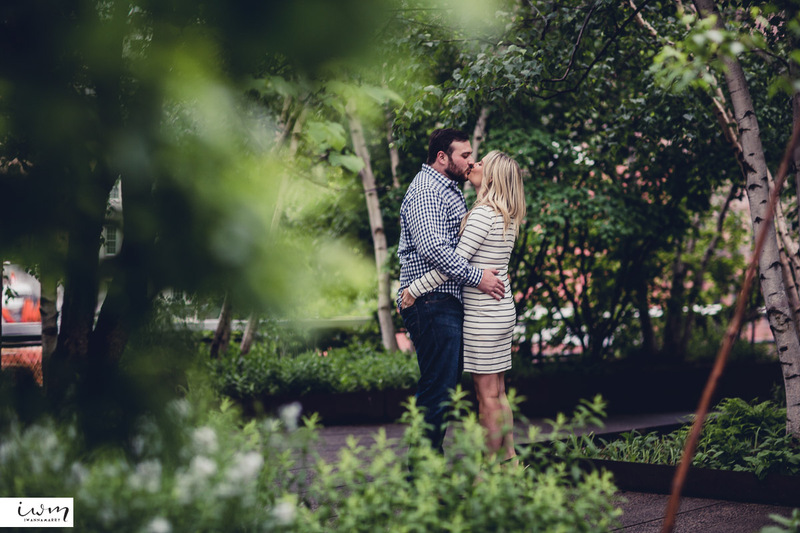 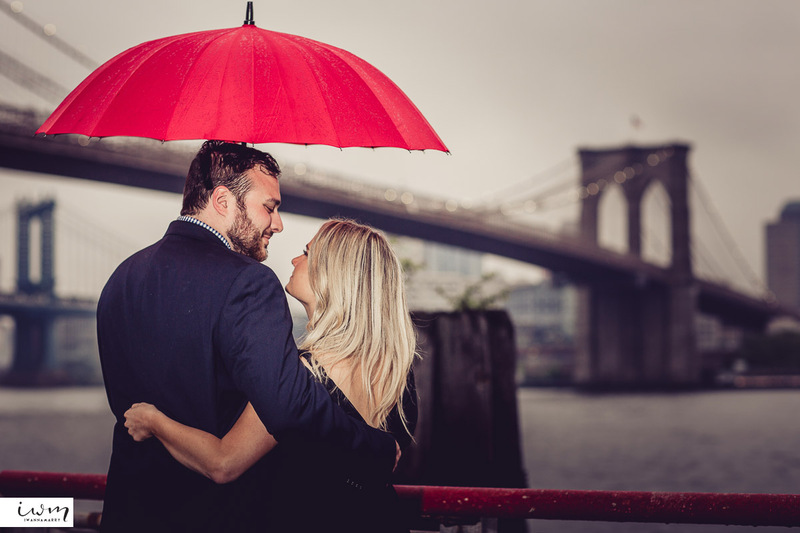 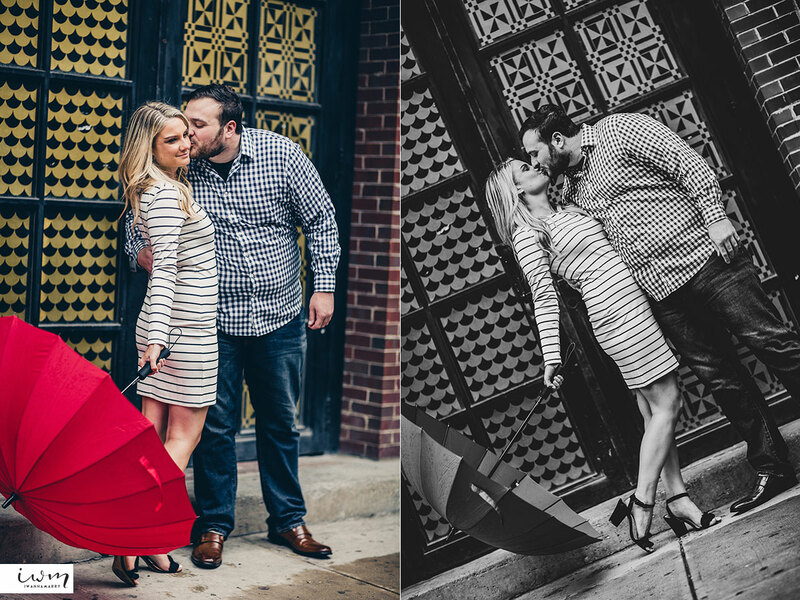 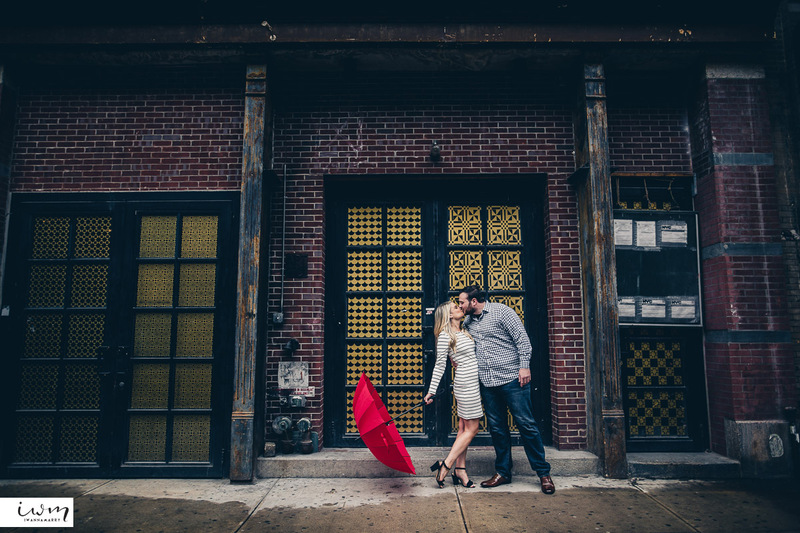 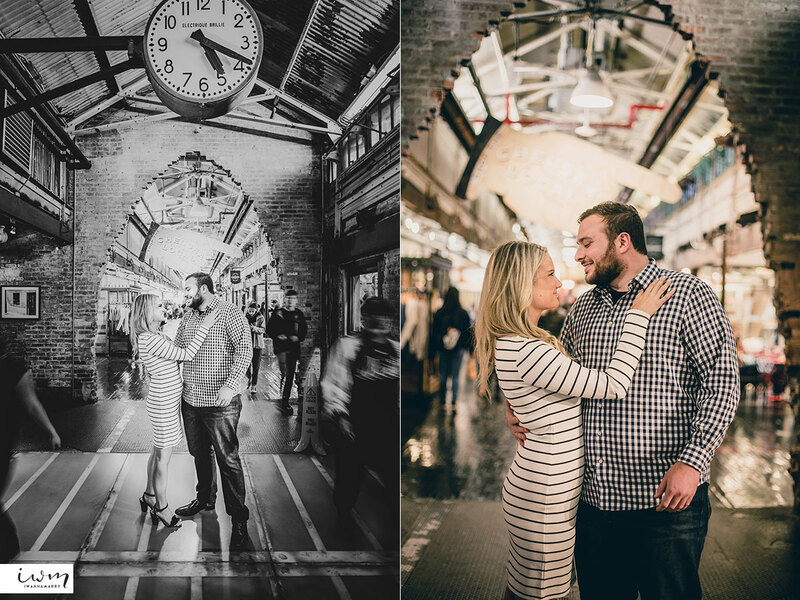 We had rain weather in New York City with Ashley and Thomas but we prepared and made the best of it. 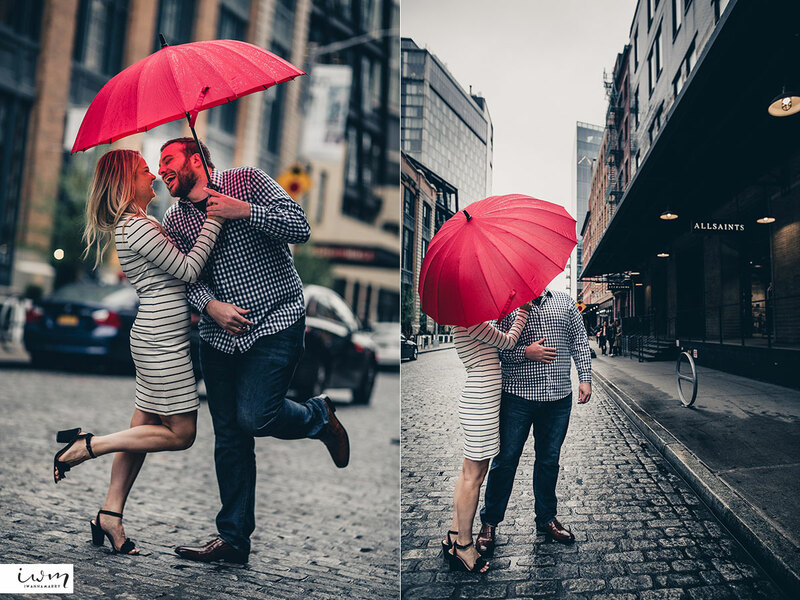 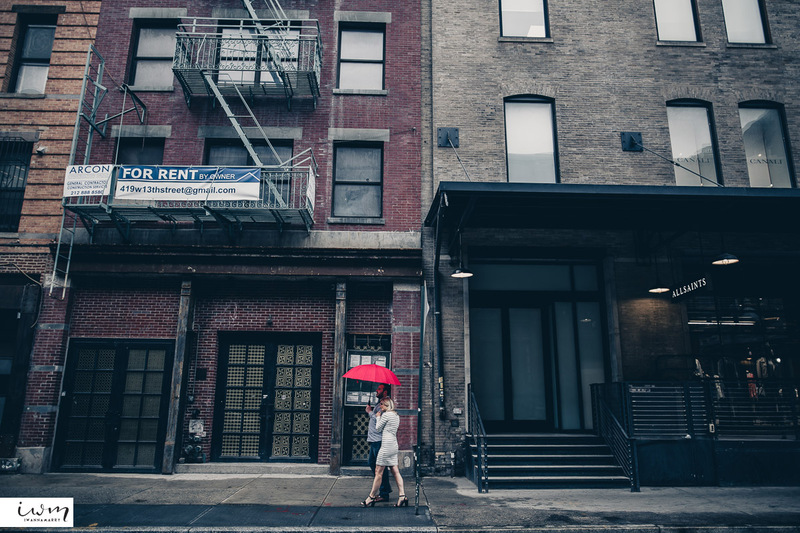 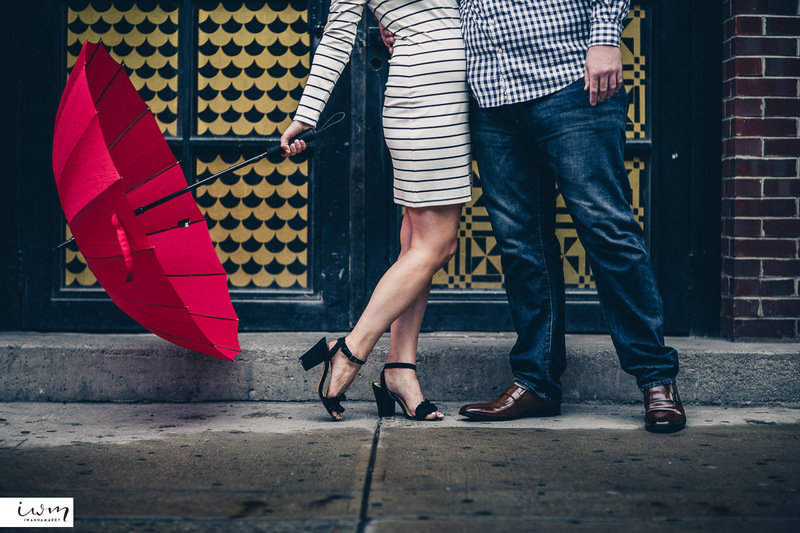 We brought our red umbrella for a bold accent to the bleak weather. 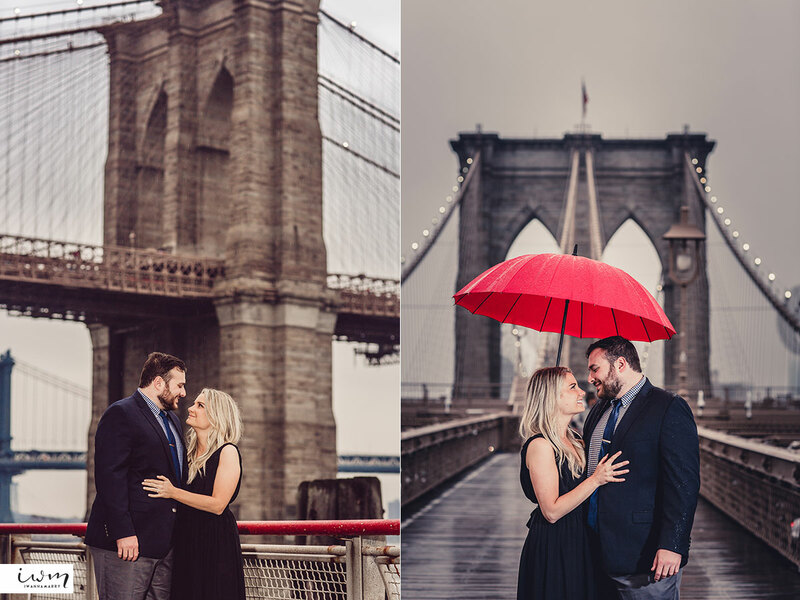 The couple was so easy going and also excited for the photos even though we were sure they were somewhat worried about the weather, but we weren’t worried! 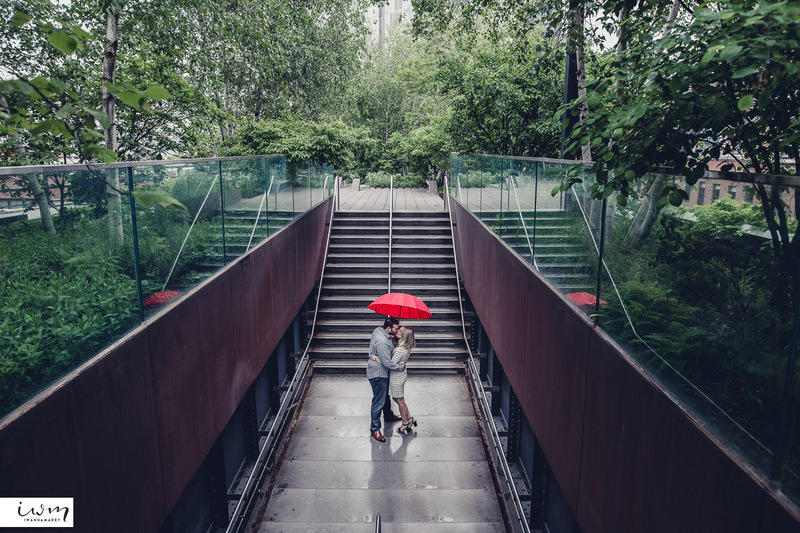 The rain adds romanticism and it helps thin out the crowd in the popular places. 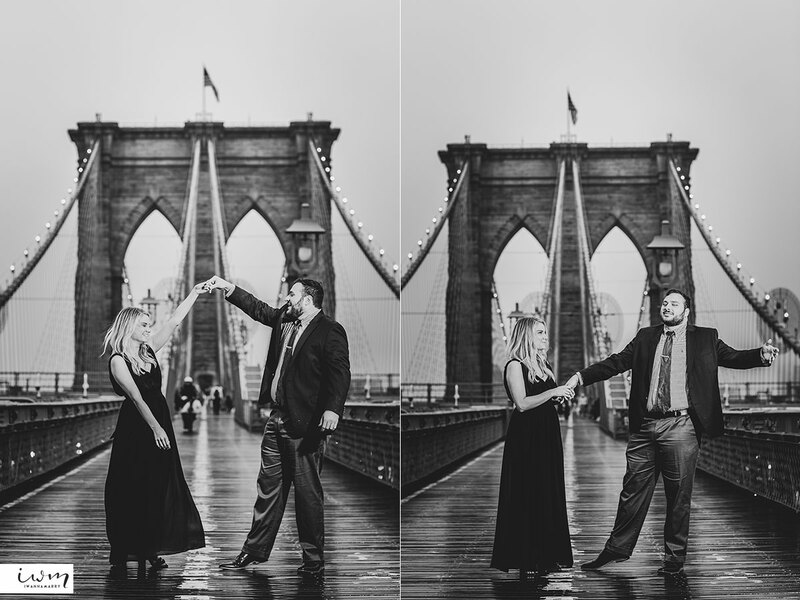 We started at Chelsea Market, walked through the Highline, the Meatpacking District, and finally to Brooklyn Bridge. 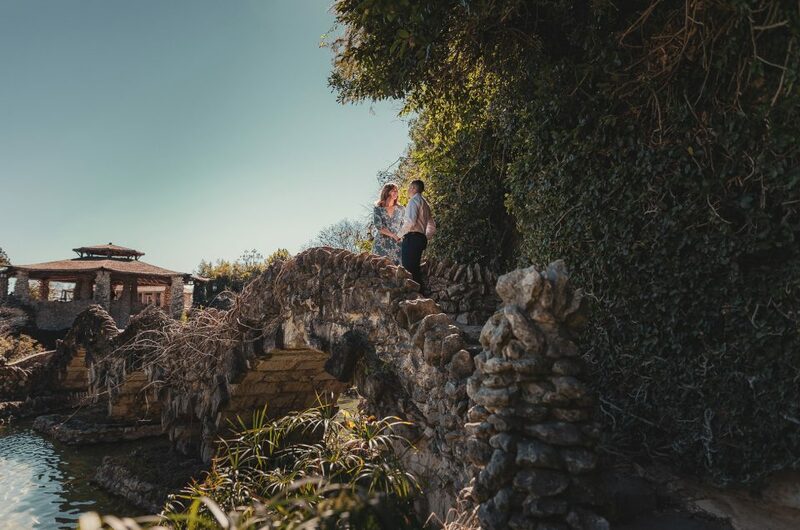 While they left the location decisions entirely on us, we were so delighted to hear that each of the locations had some significant meaning to their relationship. 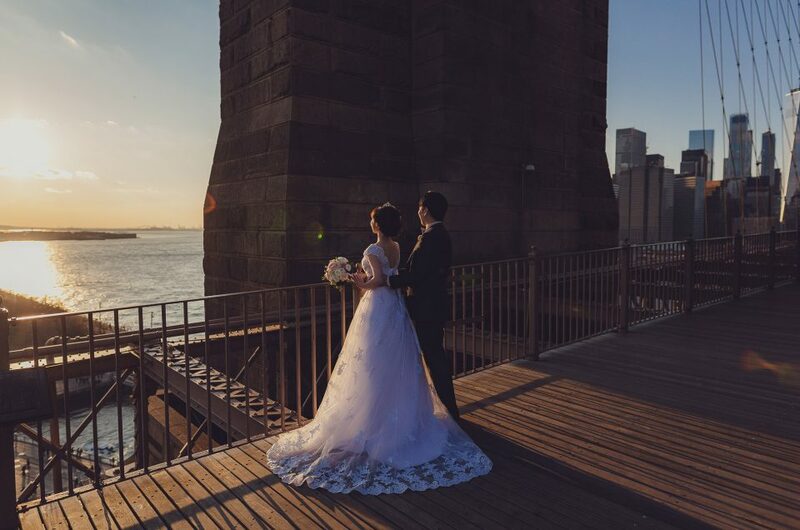 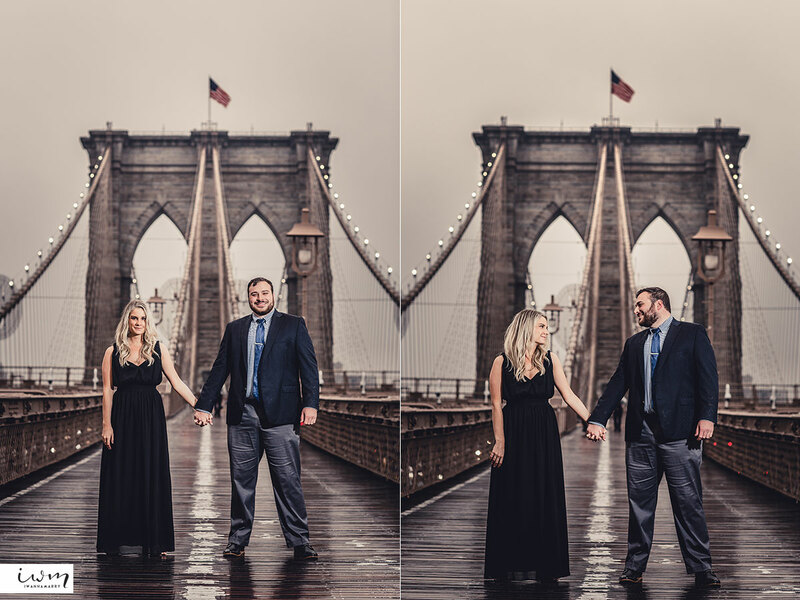 For example, Ashley is from Manhattan and Thomas is from Brooklyn, so the bridge connects them two, plus Ashley usually jogs on this bridge too! 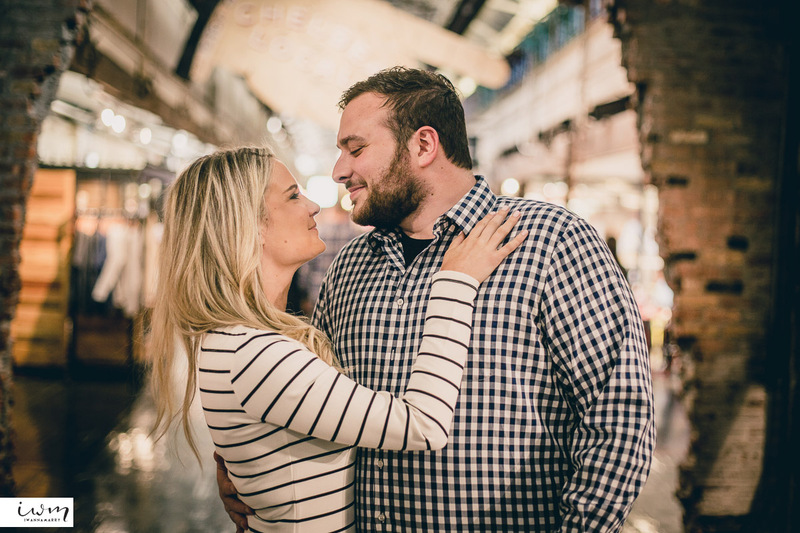 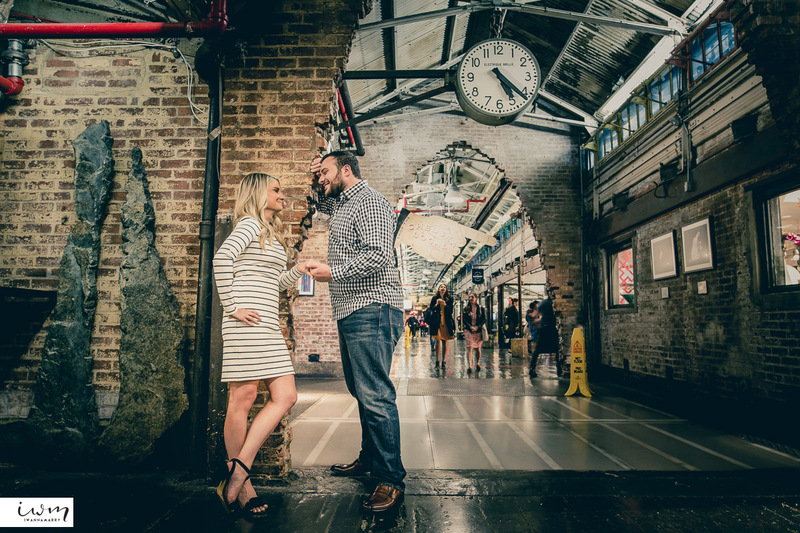 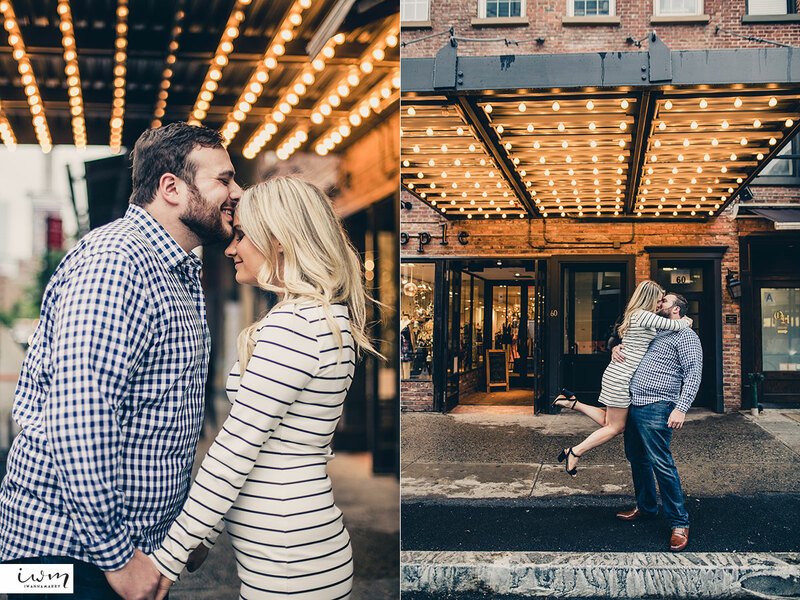 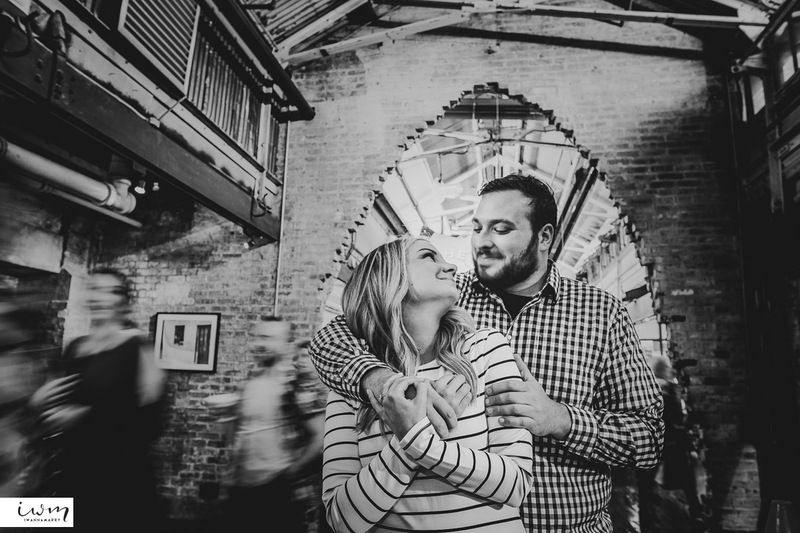 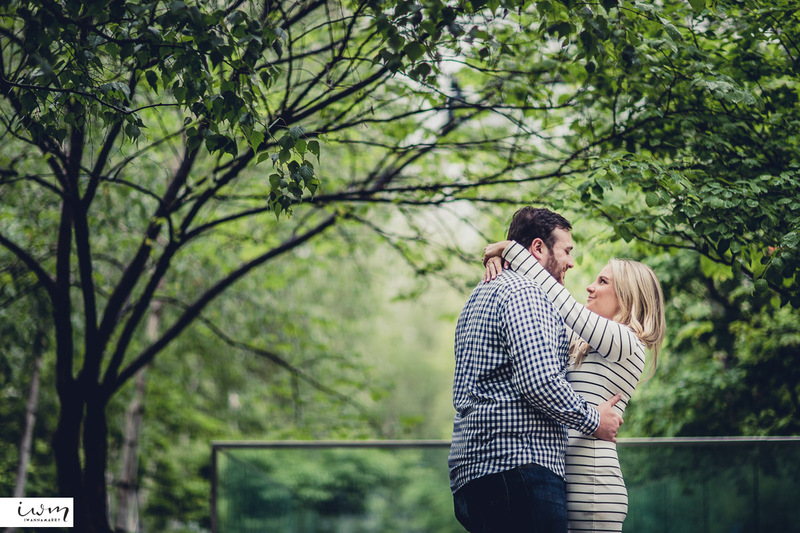 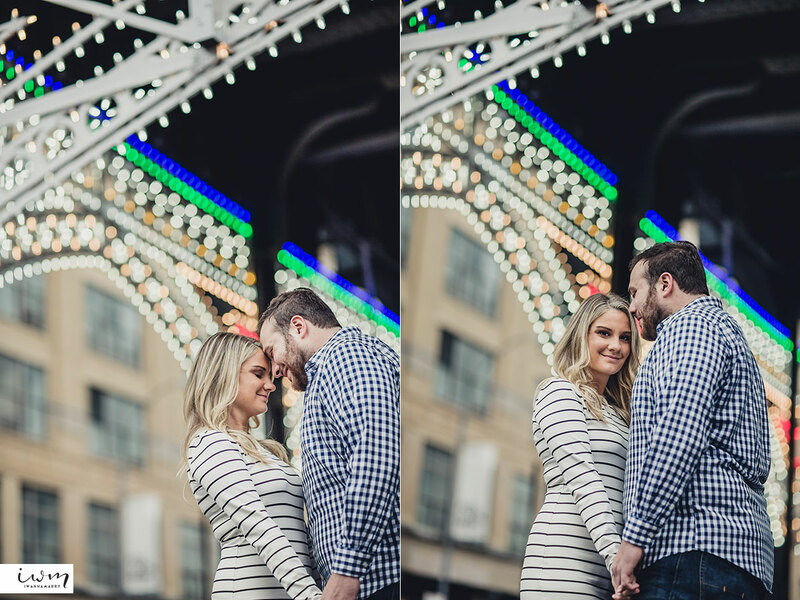 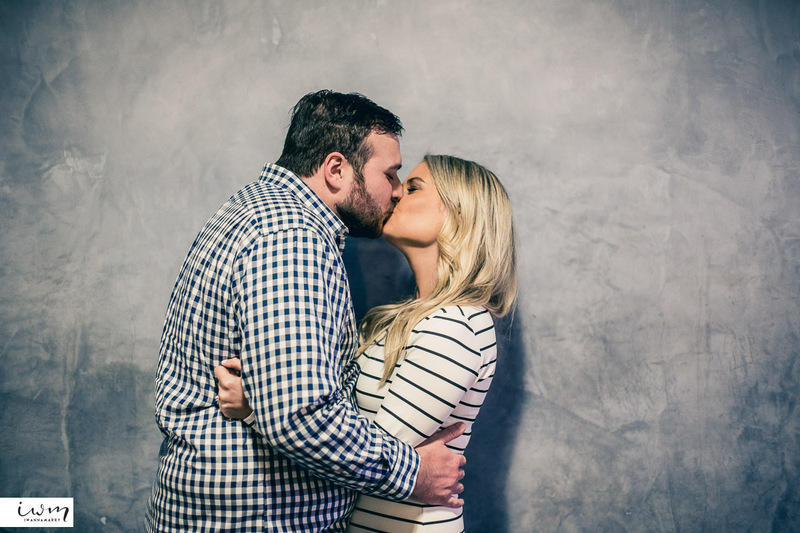 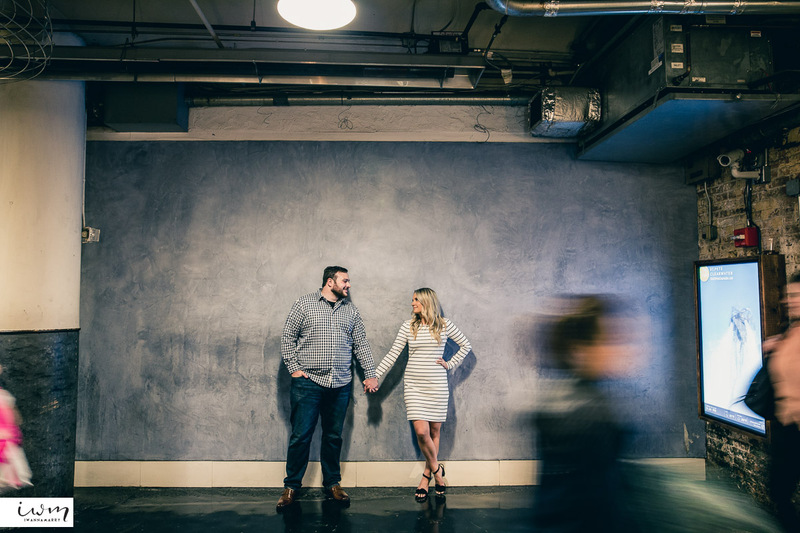 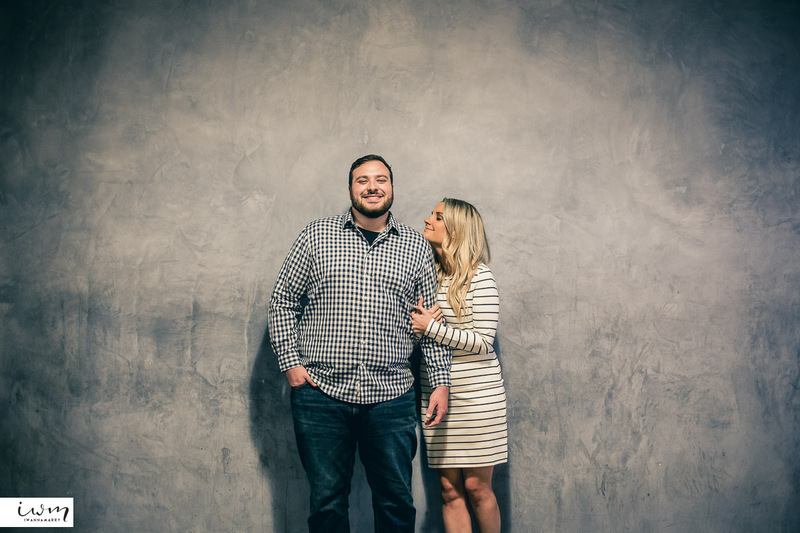 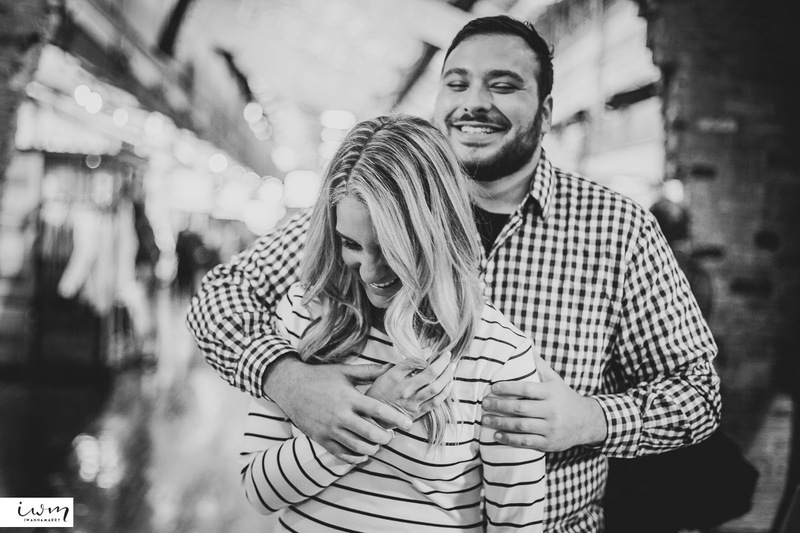 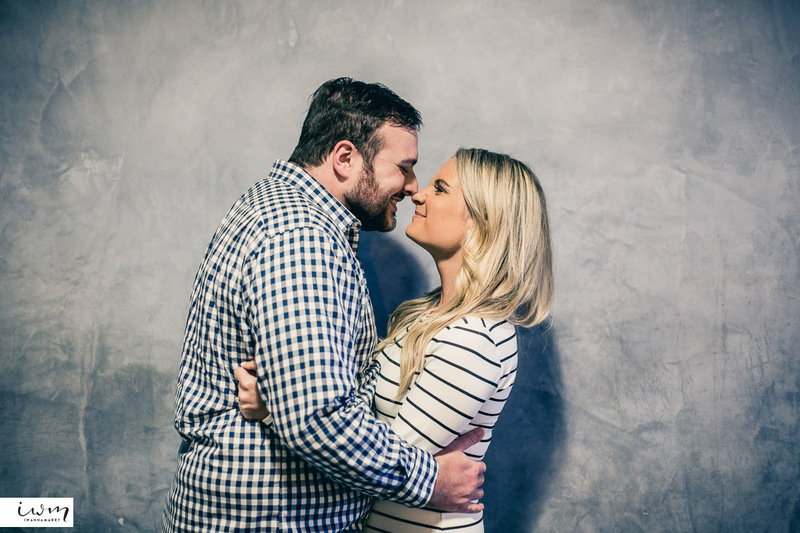 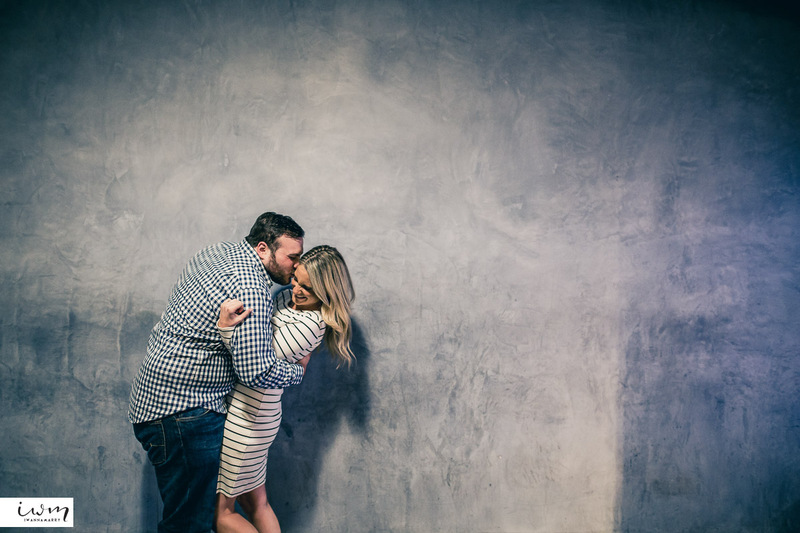 They have such wonderful personalities, we can’t wait for their wedding day!